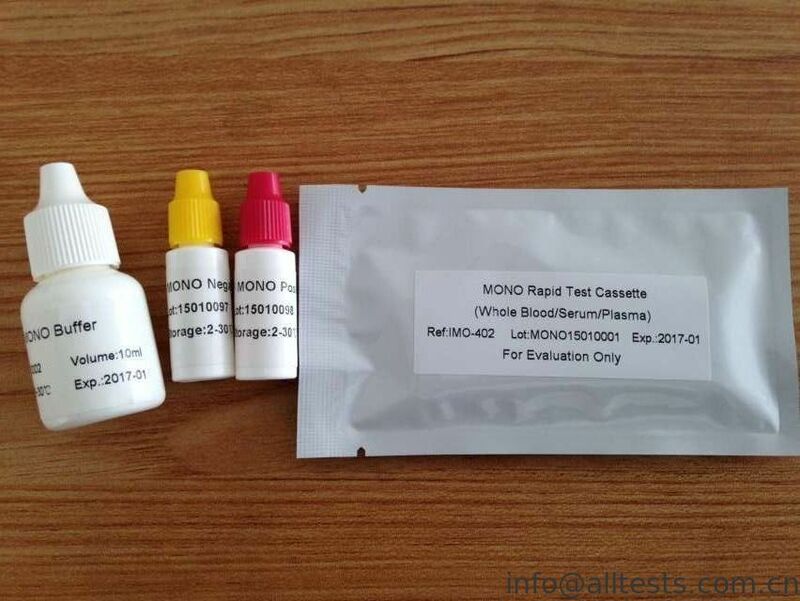 The MONO Rapid Test Cassette (Whole Blood/Serum/Plasma) is a rapid chromatographic immunoassay for the qualitative detection of Infectious Mononucleosis heterophile antibodies in whole blood, serum or plasma as an aid in the diagnosis of Infectious Mononucleosis. 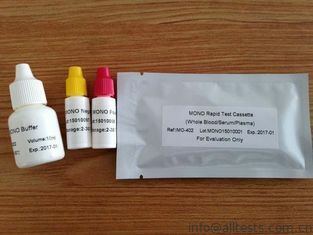 Hold the dropper vertically and transfer 1 drop of serum or plasma (approximately 25 mL) to the specimen well (S) of the Test Cassette, and add 1 drop of buffer (approximately 55 mL), then start the timer. See illustration below. 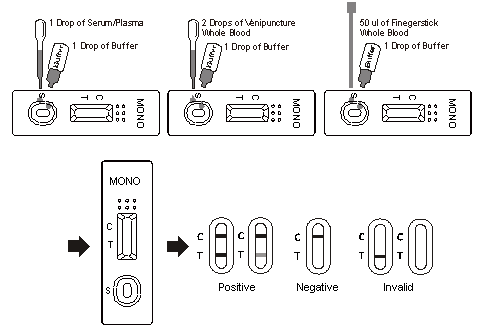 Hold the dropper vertically and transfer 2 drops of whole blood (approximately 50 mL) to the specimen well (S) of the Test Cassette, and add 1 drop of buffer (approximately 55 mL), then start the timer. See illustration below. To use a capillary tube: Fill the capillary tube and transfer approximately 50 mL of fingerstick whole blood specimen to the specimen well (S) of the Test Cassette, then add 1 drop of buffer (approximately 55 mL) and start the timer. See illustration below. 3.Wait for the colored line(s) to appear. Read results at 5 minutes. Do not interpret the result after 10 minutes. POSITIVE:* Two distinct colored lines appear. One line should be in the control line region (C) and another line should be in the test line region (T). *NOTE: The intensity of the color in the test line region (T) will vary depending on the concentration of IM heterophile antibodies present in the specimen. Therefore, any shade of color in the test line region (T) should be considered positive. NEGATIVE: One colored line appears in the control line region (C). No apparent colored line appears in the test line region (T). 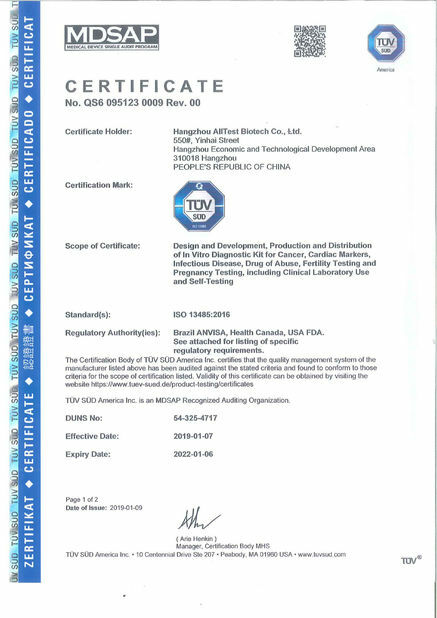 In addition to your laboratory’s standard quality control procedures, it is recommended that a positive and negative external control be tested at least once within each test kit and by each operator performing testing within a kit. 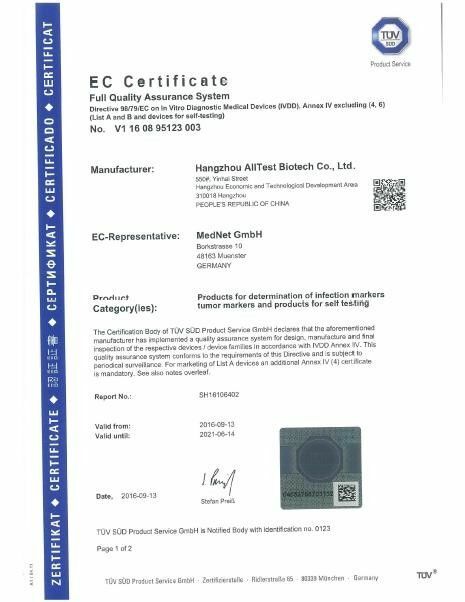 This will verify that the reagents and test are working properly and the operator is able to correctly perform the test procedure. External positive and negative controls are supplied in the kit.